The demand for mainframe programmers is higher than the supply and enterprising millennials can take advantage of this shortage. In my nearly 30 years in the tech industry, I’ve had the chance to work with many young, talented programmers and have always found them happy to share their experiences with me. Some of the most interesting conversations I’ve had recently have been with several of Rocket Software’s millennial generation of mainframers, all of whom described their different journeys into the industry. Unfortunately, despite their varying backgrounds and experiences, the theme of their stories was much the same: they wish they’d known earlier about the opportunities that were available to them in the world of mainframe programming. Looking across the industry, it’s clear that not enough is being done by universities and businesses to promote the different paths that students and young people can take when it comes to coding education. As it stands, only 11 per cent of students in the UK took computer science at GCSE level for the 2015-16 academic year. The low proportion of students opting for this ever-more important subject is worrying, but unsurprising when you realise that only half of schools offer computer science as a GCSE. It does students a disservice not to provide them opportunities to learn computer science when most major industries are experiencing a digital revolution and tech skills are in massive demand. This demand is even more pronounced when it comes to mainframe skills – only 7 percent of the current mainframe workforce is under 30 years old, which means there is a distinct lack of supply in the industry. While the corporate and education worlds alike have to step up, young programmers must also take the initiative and find opportunities for mainframe experience when it may not be the route most of their peers pursue. So, why should mainframe programming be the career road that Gen Z and millennials follow? Some people fail to realise the significant role that these computers play in the world, especially in the face of new technologies that have stolen the mainstream attention. 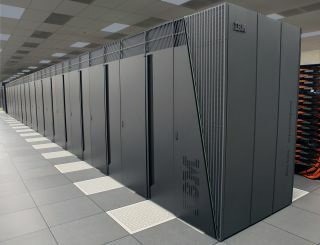 Since the mainframe’s inception in the 1960s, generation after generation has been under the misinformed assumption that the technology is declining. But this is simply not true, even in the face of stubborn opinion; mainframes continue to power large industries such as banking, insurance, retail and airlines, with companies relying on these powerful computers to handle their critical business processes. This reliance extends into the public sector with councils around the UK running on mainframes, as well as the Pentagon in the US: it’s hardly an exaggeration to say Western civilisation is being run on these computers. Mainframes are foundational in these industries for good reason. They are reliable, powerful and secure. These qualities make them ideal to support the cloud environment and amplify the value that analytics and machine learning can bring to a business. Modernising is a necessary step for businesses to remain competitive, but it doesn’t mean tearing out your whole IT systems and replacing them. Nor will that be the case in the near future. As we’ve seen, mainframes are ubiquitous in the business world and carry a multitude of benefits with them. But this isn’t communicated to students and other budding programmers. The conversations I’ve had with young Rocketeers have often pointed to their scepticism around working with mainframes, especially when they were faced with the subject at university. As students, they found few people around them were advocating it as a viable career path to follow. But, thankfully, as they became more involved in what it means today to work with a mainframe, they embraced the opportunities available to them. What made the biggest difference to their job choice is that there is no longer a need for graduates to be proficient in COBOL to program mainframes. With the tools widely available, it’s entirely possible to program mainframes using Python, Git, Mode.Js and Java. Our younger team members decided to work with the mainframe, but for varying reasons. Some did their research and realised the demand for mainframe programmers massively outstripped supply, making these roles a lucrative option. Others found their calling via programs such as Master the Mainframe: an IBM sponsored contest that encourages learning coding skills in a thousand schools across seventy countries. The initiative is a testament to the success of university-business partnerships. But, there is much more that can be done to reach out to young people. IBM established a university outreach program on a global scale with its Academic Initiative program, which invests millions of dollars in 1,000 academic institutions across 67 countries to provide a mainframe education for students. One of the most recent sign-ups to this program is Manchester Metropolitan University, which has introduced a mainframe-specific course beginning this year. Another way for businesses to get students involved with mainframes is through a hackathon. There is nothing quite as good as hands-on experience in a competitive environment to develop coding skills; and hackathons provide exactly this. And while it may not be directly related to mainframe technology, competitions like the APT Rocket.Build Academy - which gave students the opportunity to create an app using MultiValue database technology – allows them to grow new skills that they may have missed out on at university. Helping a new generation of programmers develop the right skills isn’t rocket science, but it does require investment and a pinch of creative thinking from universities and businesses alike. Ultimately, the gap between the skills that businesses require and the experience that students walk out of university with, simply does not match up. Before we find ourselves facing a chronic shortage of skilled employees who want to work with the mainframe, action must be taken to show that the technology doesn’t sit in the realm of IT dinosaurs, but is the backbone to our largest industries. Armed with this knowledge, graduates will find themselves facing a vastly different and more lucrative employment landscape.